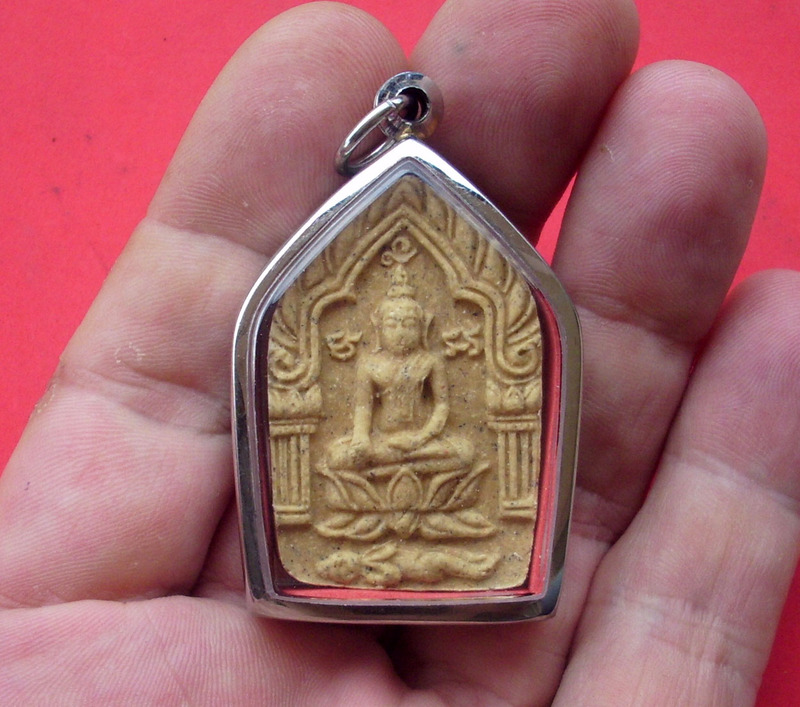 The front face of this amulet has a Takrut Hua Jai Montr Khun Phaen (Heart Mantra of the Khun Phaen magic embedded within the Takrut). Pra Khun Phaen is sitting on a Lotus and over a Kumarn. The rear face has another 7 Kumarn around the face, has one Takrut Ngu Hlueam ) Python Takrut) and two Takrut Bpaag Phii (Ghost Mouth Takruts) inserted. 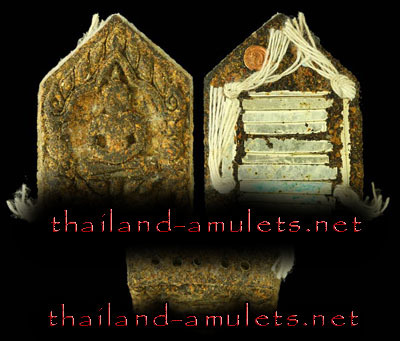 1599 amulets made in all, froom Nuea Pong Pra Kroo powders – Kroo Powders are the purest and richest mixtures of magical powders; the reference standard so to speak. These Prai Kroo powders were used to mix in with the Muan Sarn ingredients of this Khun Phaen along with 108 sacred herbs powders and pollens. Using the Bal sabprer Khmer Wicha which is known to be one of Luang Phu Ins powerful and Master Wicha. 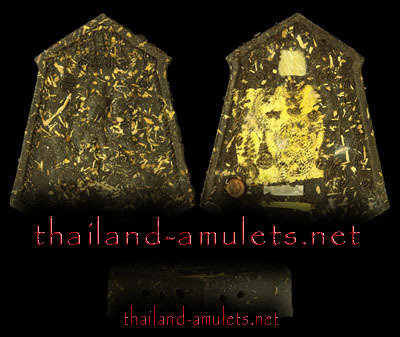 Luang Phu Ins amulets are of the richest and finest mistures available in modern Metta and Maha sanaeh magic amulets, along with Luang Phu Bpan, another of the present day Master amulet makers. In fact, these two great Masters of Khmer and Gariang Folk Magic, have even joined hands together to empower and create Khun Phaen amulets. 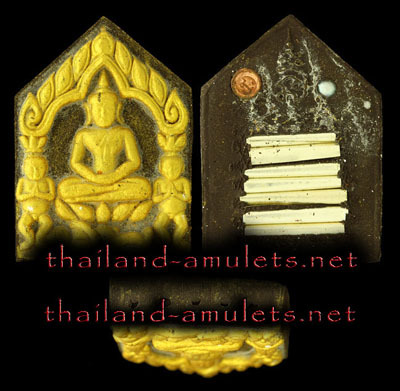 We recommend either of these two Masters for Maha Sanaeh and Metta mahaniyom amulets, for we have recieved so many reports of success and good results from our customers and friends that it is becoming ever more obvious how both LP In and LP Bpan are becoming the Masters of this kind of Magic. 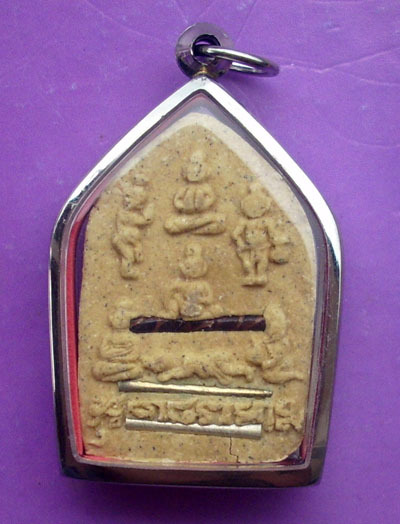 Apart from These additions, watch out for the addition of the Khun Phaen Pong Prai Maha Sanaeh amulets too, from 5 Grand Masters, four of whom are amongst our own top recommended amulet makers, which results in an amulet we consider to have had extremely powerful incantations and blessings, as well as surely containing some of the finest Muan Sarn Ever used. For these Masters have created some of the most powerful lockets and amulets of the modern era, with also great beauty and high quality ingredients and decorative aspects, releasing amulets with precious and semi precious stones, sacred flowers, lek lai, pearls and the like, their amulets are second to none for power and beauty as well as value when you consider the high quality and valuable sacred ingredients used. Enjoy pics of them below. 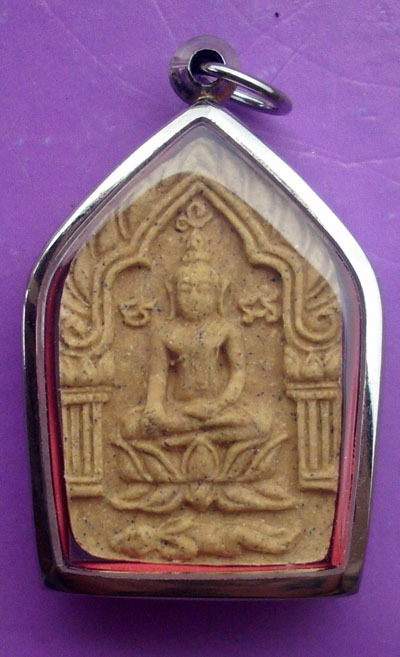 Above; Ongk Suryan Riak Nang – LP Goey – one of the Five Master Gaeji Ajarns empowering the above amulets. 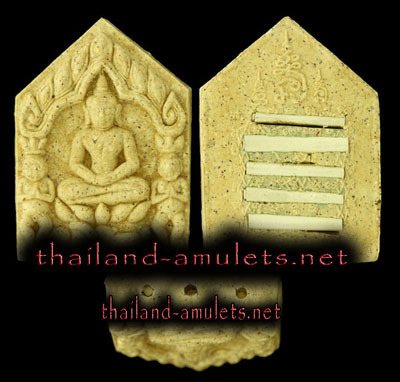 These are amongst our favorite of modern Era amulet makers and we believe make the most powerful Khun Phaen, Paetch payatorn and similar Deity amulets for improving Maha sanaeh, attraction charm popularity Metta and Business. You will notice this browsing our store as you see that we try to stock the best amulets from all of these makers. They are masters in their own rights, so we imagine that when thyey combine forces as in the upcoming edition, the results must be Miraculously powerful.